It was a cold week in Austin, TX. But there was plenty enough warmth among the attendees at the Marketing Profs Digital Forum, where a bunch of smart people (they let me in, too) gathered to think together about the future of digital marketing. Or, actually, the present of digital marketing. I won’t attempt to give a full overview, but instead, just put a spotlight on a few things that were exceptional. Organization – the Marketing Profs staff did it right. And, they were all friendly and fun to talk to. You know what? That matters. Special kudos to Megan Leap who did a lot of the pre-event and on-site orchestration. And there was some scrambling that had to occur, with weather-related postponements and what not. The Now Revolution – Jay Baer and Amber Naslund kicked off the promotional tour for their new book, The Now Revolution. And – no surprise here – their presentation rocked. Especially their use of simple slide design as adjuncts to tell the story. Yes, slide design matters. Content did Rule – Many of the presentations were quite meaty. Some of these conferences can get fluffy, but not here. Plus, and C.C. Chapman and Ann Handley (whom I consider a dear friend) gave a nice talk about the main thoughts in their recently-released book, Content Rules. Both are solid presenters (and, I finally got to meet C.C. for the first time). Mobile – one of the best talks for me was Christina Kerley (CK)’s overview of why mobile is huge and getting huger. I’ve known CK for years but had not seen her present before. Fabulous. And I walked out totally convinced about the importance of developing for mobile RIGHT NOW. Anthropology – huh? Yep, one of the highlights was a talk by an anthropologist, Michael Wesch, who gave a breathtaking 300,000 foot view of how media shapes and reflects culture. Many of us felt stunned at the end. It was also another example of using background slides to help tell a story rather than impart a content outline. Yes, storytelling matters. 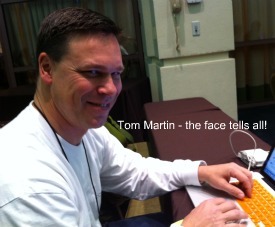 Tom Martin – I’ve been hankering to meet Tom for years. We’ve talked and collaborated on-line; finally we got to hang out. Not only were our discussions fun and fruitful, but he gave a great talk on his Mardi Gras marketing initiative. Good times. For me, this conference was about face time with people. I went to share vision and thoughts with folks I respect in the field, and I was not disappointed. It was also about having fun with semi-crazy folks like DJ Waldow, who along with CC Chapman and Matt Ridings helped produce an ad-hoc series of Ann Handley Day videos. Thanks to the Marketing Profs folks for putting on the event (despite all weather-related dampeners! ), and I look forward to future events! This will be an exploration of how social media is impacting the worlds of learning and training. Since much of my consulting work is in pharma training, AND I’m heavily involved in social media, this should be a very interesting time of discovery. Just decided to go to this one, and taking my 20-year old son Nate with me, who has a strong interest in a film career. Looking forward to lots of networking with friends new and old, and hoping to see Nate make valuable contacts and grow his knowledge and network. 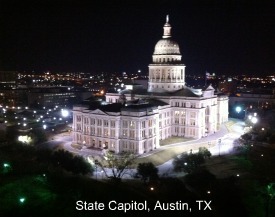 Austin is one city I’ve never visited. This should be a lot of fun! Have attended and presented at this event for many years; this year will help lead 2 workshops, on Building your own Opportunity Network, and Managing Vendors and Projects. Always a great time of interacting with my core pharma audience and friends. Had planned to attend this one last year and got waylaid by life circumstances – really looking forward to joining Ann Handley and the gang for this one. You can expect varying levels of live-blogging and live-twittering at all these events, which could get rather annoying, depending on your level of interest and your reservoir of patience. Let me know if you’re going to be present at any of these conferences so we can meet up! Geoff Livingston over at the Buzz Bin has some meaty thoughts about personal branding vs “team social media” within a larger company. This is a valuable discussion. Personal branding for a solo entrepreneur is one thing, but how do we approach putting a “face” on an organization when interacting with the world at large? Just for the fun of it, here’s a mega-post with a bunch of recent links touching on personal branding, from David Petherick. Mario Sundar is on a tear on his personal blog. 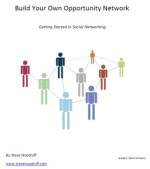 First, Using social media to help your friends find a job (this is a real passion of mine). Then, Perfectionism ain’t Bliss – just do it and don’t worry about making it perfect. And finally, some lists of Twitter worthies to follow. Mario, for those who don’t yet follow him, is LinkedIn’s chief blogger; he also maintains his own personal blog. Image Recognition Software/Service – from TechCrunch blog. This is a big deal, actually. There are so many images now published on-line, a huge challenge is going to be finding/sorting/identifying/filtering. Here is one company (Milabra) that’s making a run at it, and their solution sounds very promising. It’s easy to just listen to the voices that you already agree with. We also need to consider other points of view, lest we become infected with group-think, or an inflated sense of self-importance. This muse/rant by Kevin Palmer is a needed corrective as we consider the place of social media in the world. Guest post is found on Social Media Explorer blog – it must be good, because I rarely point to the same blog 2 days in a row (nice job, Jason Falls)! PLEASE NOTE: There is reason to believe that the Google/Feedburner changeover has created “issues” with RSS feeds for my blogs (and others). Here are the feeds for my three blogs; if you’re a reader, would you please re-subscribe just to make sure? Thanks! Is new media marketing becoming “mainstreamed”? 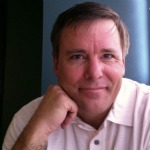 Check out what Paul Chaney has to say. Re-branding…fish…with new names. Guess I hadn’t thought of that one. From the NameWire blog. 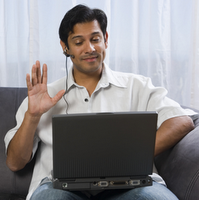 How can social media help with customer loyalty? Becky Carroll over at Customers Rock! begins a brief series this week, with quickie videos (at this link – a video from Jim Kukral). Anything Becky produces is worth your attention. Why do we blog? Here’s what Darren Rowse (@problogger) found out when he asked his readers. Ann Handley has Nine Questions for Guy Kawasaki. Read the Q&A here. PLUS: Only Ann Handley could pull this off. 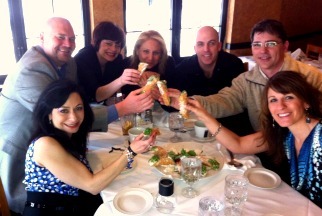 From her blog A n n a r c h y: A Toast to Cancer.